Here are some worthy web connections that will help community orchardists to grow the good fruit. Apple enthusiasts will love the lore on some of these sites. You can seemingly roam forever by following the additional links to be found in this virtual orchard. Business sponsors of the network are marked by an orange pippin by their listing. We encourage fruit growers to take this into consideration when choosing suppliers. Be sure to check out these local tree sources with earth-savvy growers at the helm. 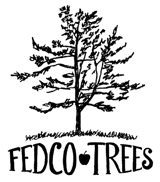 No one puts out a better tree catalog than my friends at Fedco Trees in Maine. Heirloom and cider apples on Antonovka rootstock, along with modern cultivars on clonal stock. I love how this cooperative effort enables small farmers to make a living working with trees. 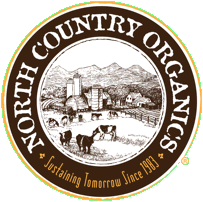 My holistic path has determinedly been bound to the soil insights shared by Paul Sachs at North Country Organics. Check out this earth-friendly supplier of organic fertilizer and more throughout the Northeast. My go-to source for unadulterated pure 100% neem oil and karanja oil in North America is Ahimsa Organics. Whole plant medicine rocks! Cold-processed fish hydrolysate contains enzymes, hormones, and vital fats for plants and microbes. OG's distribution network keeps shipping costs reasonable. Joel Dufour at Earth Tools has long been the man to ask about small farm equipment. Working with top-notch implements for two-wheel tractors is a blast. And when it comes to service, even from afar, you'll quickly get what you need to proceed. Looking for mesh vole guards or effective bird netting? How about a tree growing tube that gets beyond deer browse? The Plantra team offers righteous options. The cider revolution is well underway! Lift a glass with these farm-based cideries. Upright knowledge for all fruit growers seeking to grasp healthy tree dynamics.